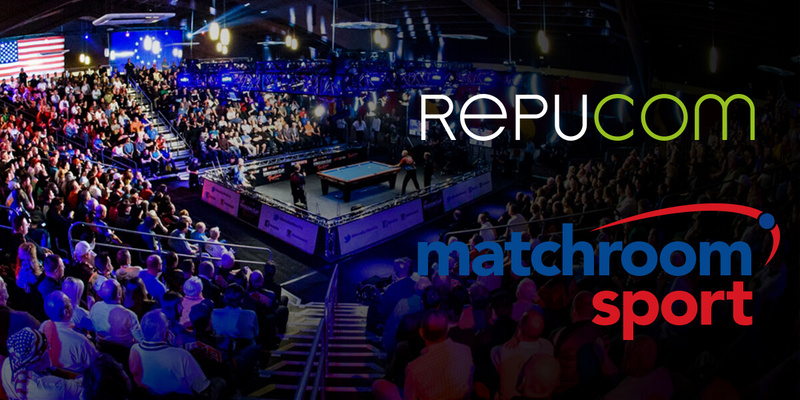 Matchroom Sport has teamed up with Repucom as part of a new two year partnership. The trusted advisers in sports and entertainment intelligence will provide global media evaluation, commercial valuation and sponsorship measurement solutions to Matchroom Sport’s extensive portfolio of events. Repucom will measure and analyse the broadcasts for all televised events of the Professional Darts Corporation (PDC), World Snooker and Matchroom Boxing as well as the World Championships of Ping Pong, the Weber Cup (Ten Pin Bowling), Fish-O-Mania, the World Pool Masters, the World Cup of Pool and the Mosconi Cup. The global media evaluation solutions Repucom will deliver include the measurement of all TV, print and online coverage for Matchroom Sport and its event sponsors and partners. The solutions provided will also include comprehensive analysis of digital and social media monitoring and evaluation, providing full circle measurement across the brand’s large portfolio of events. Jon Stainer, Managing Director, Repucom UK&I, said: “Our relationship with Matchroom Sport started back last year when we delivered the PDC broadcast rights valuation and we’re delighted to be working with them again, this time as part of a longer term partnership. The two year partnership will stretch across some of Matchroom Sport’s most renowned events including the PDC World Championship, running from January 2016 through to December 2017 and the World Snooker Championships from April 2016 to March 2018.